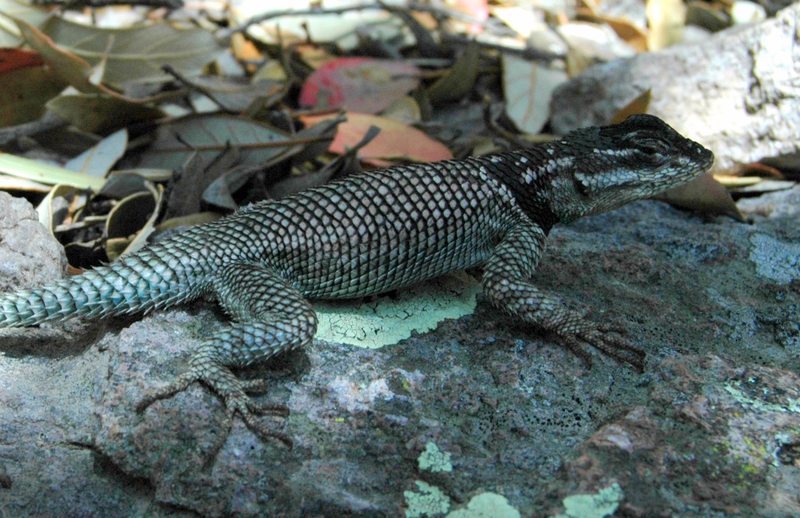 The spiny lizard, like other lizards, relies on sunshine and shade to regulate its body temperature. That makes the animals particularly vulnerable to climate change. In the experiment, shade was arranged in different-sized clusters. That prediction was based on certain assumptions about how easy it is for lizards to find shade, says Michael Sears, a biologist at Clemson University who was the study's lead author. "The thing that those models assumed is that the lizard can find a piece of shade anywhere in the environment instantly if it needed it," says Sears. In reality, of course, it takes lizards energy and time to find shade, which means those past predictions of extinction risk could be too low. He and his colleagues recently did a study using computer modeling and real-world experiments to see how the kind of shade available affects a lizard's ability to keep its body temperature in the optimal range. 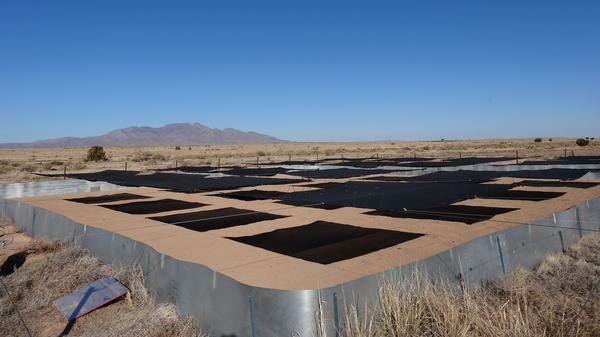 "We use these pieces of shade cloth to cool down temperatures in spots to see how the animals react to it," Sears says. "It's sort of like, if you were out jogging, and there was only one tree and it was a long way to the next one, and it was a hot day — that's a bad environment," says Sears. "But if there were a bunch of trees along the way providing little bits of shade, you'd feel a lot better." That means predicting the future for lizards as the climate changes will be more complicated than people thought, as each population may be significantly affected by its local distribution of shade-providing plants and rocky outcrops. In general, lizards that live in already-warm places probably will suffer from increased temperatures, while lizards that live in cool places might actually benefit to some extent, says Sears. "Everything in between, all bets are kind of off now," he says, "because what our study suggests is that how bushes are placed in an environment might really impact the lizards just as much as the temperature itself."